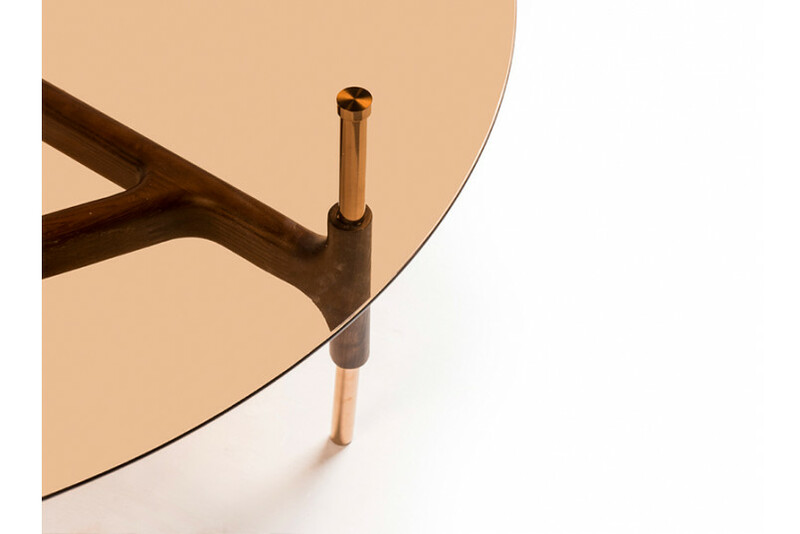 Characterized by the simplicity of form, Joint center table is both stylish as well as functional. Its charismatic brown glass top, circular in shape sits upon a sturdy base made of solid wood and stainless steel legs in geometrically angled base. Wood straps are angled and joined forming a triangular design for a durable base. Top is secured to the base using suction cups.